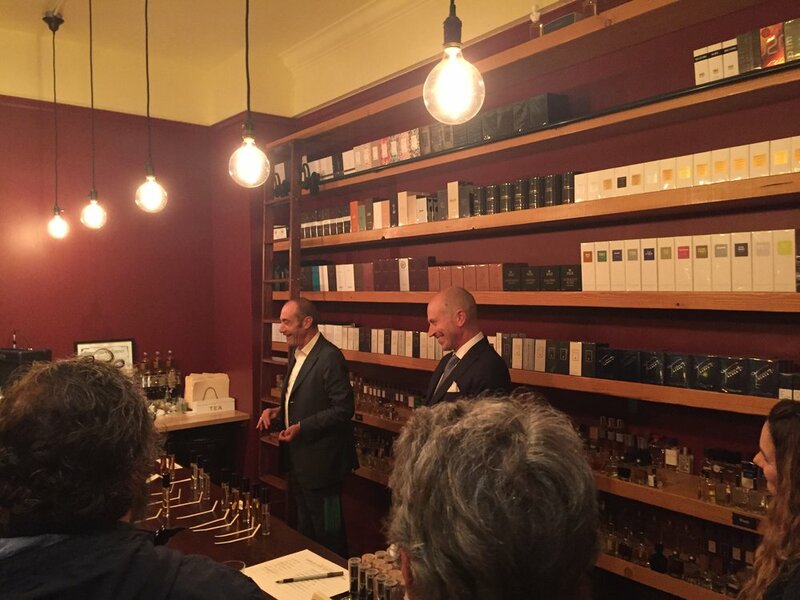 Josh Meyer, the man behind Imaginary Authors, visited Fumerie Parfumerie this Thursday to describe the creation of his latest fragrance Every Storm A Serenade and host a Q&A session for a crowd of guests. 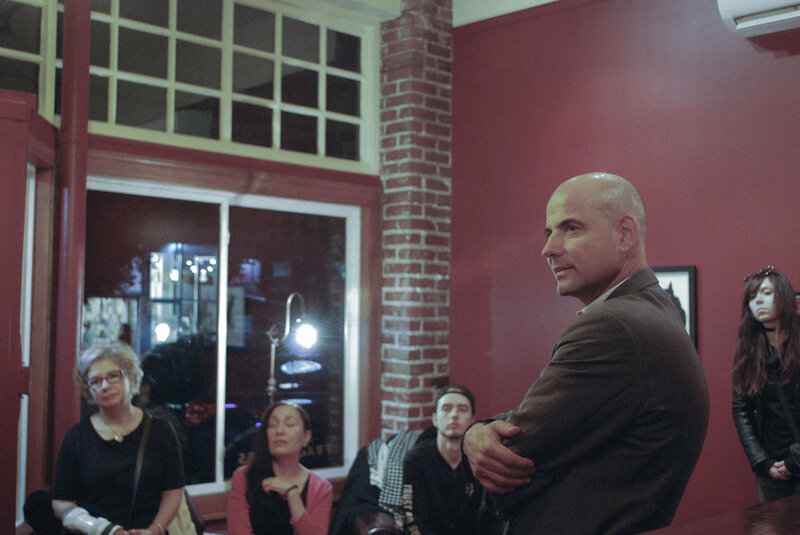 Among other things, Josh discussed his creative process, his early scent memories and his love for animalic perfumes. 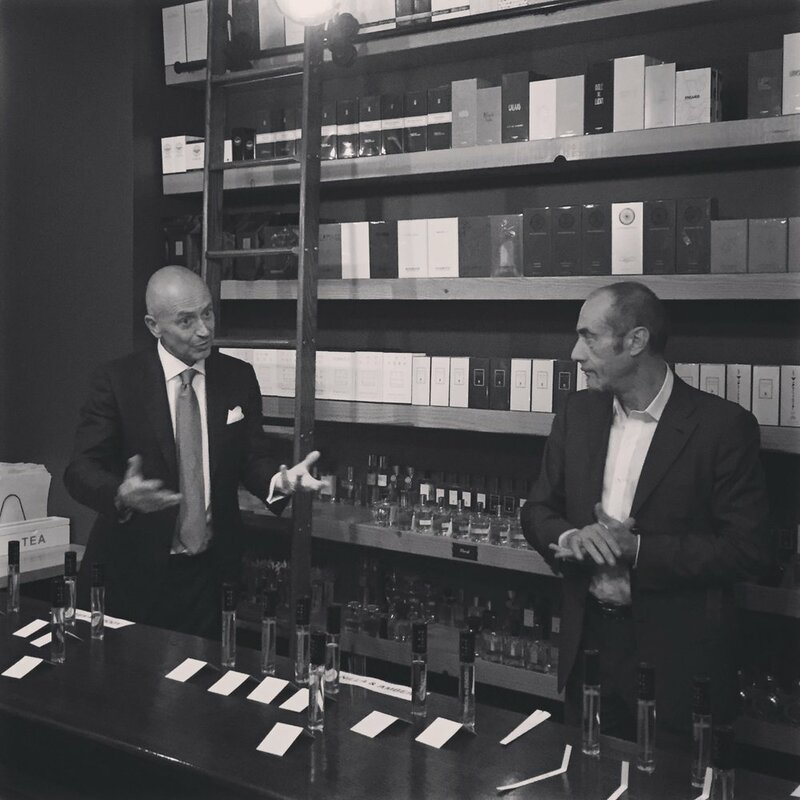 Josh brought in the four main accords present in Every Storm A Serenade (Calone, Ambroxan, Spruce & Eucalyptus and Vetiver) and attendees were given the opportunity to smell the isolated accords as Josh explained the role of each piece as a part of the whole. Attendees also submitted questions for Josh in advance and also asked impromptu questions during the course of the event. 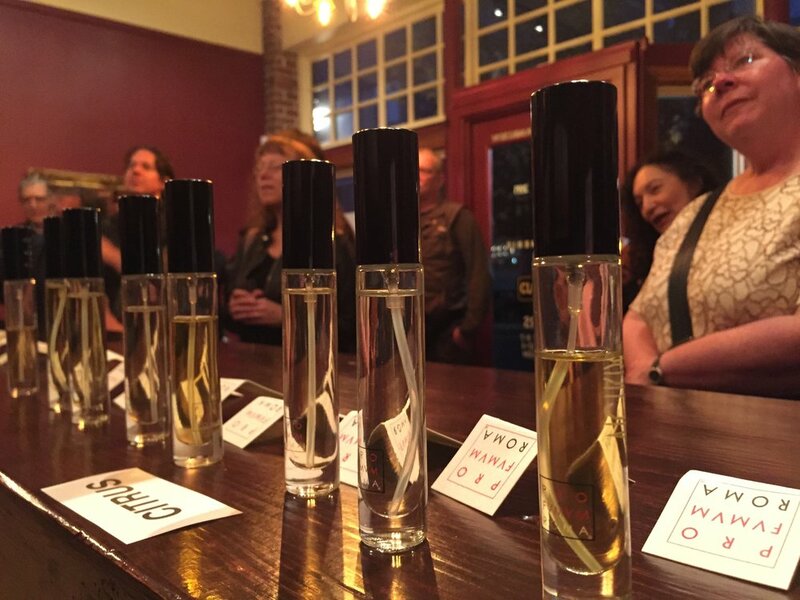 For me, the highlight of the night was Josh's particularly poignant response to a question about fragrance chemistry, remarking that the work of a perfumer could more easily be likened to that of a painter than a chemist. We would like to express our sincere thanks to Josh for taking time out of his busy schedule to participate in what we hope will be the first of many guest appearances at Fumerie. 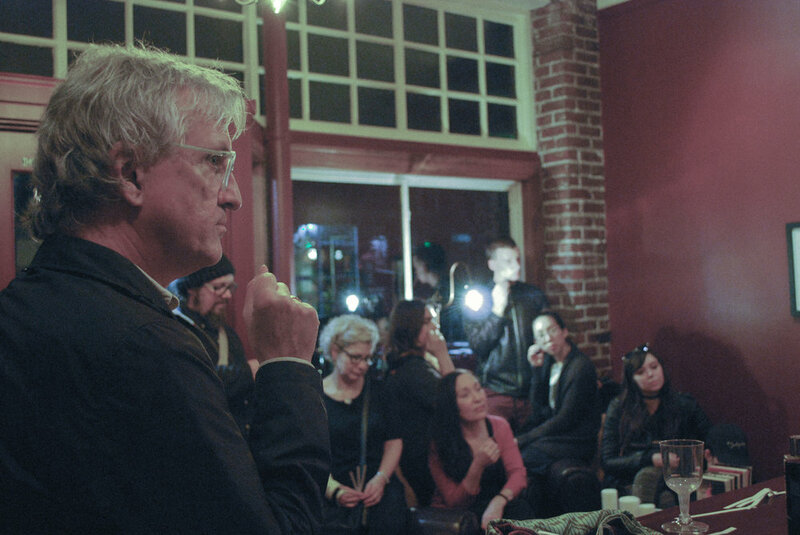 For those of you who were unable to attend, Kat Butler took some wonderful shots of the event. Please feel free to comment below about the event or your favorite imaginary authors fragrances. All photos by Kat Butler.